The Rio Olympic bronze-medallist admitted that she is getting puzzled during the bouts, a major reason for her off-colour season. It was one of the interviews. Sakshi Malik was asked a question about women’s wrestling in India. She began to answer confidently. She went on for a minute before stopping abruptly and her question left everyone stunned. Sakshi had spoken so much till then. The break was so sudden that it felt like one of her bouts where she was confident until the final minute. She would dominate and suddenly, in a split second, lose the lead and the bout. It happened at the Asian Games, then at the World Championships recently. On both occasions, Sakshi missed out on a medal. Ever since her bronze medal at the Rio Olympics, Sakshi has not been in the winning form. At Rio, most of her wins, including in the bronze medal bout, came after she was trailing. She would mount a comeback in all those wins. But things have taken a U-turn, especially after the 2017 Asian Championships where she won a silver medal. “I know I am getting puzzled on the mat. I have the bout under control but it is the last minute that is very difficult. I have lost most of the bouts in the final minute and it is worrisome,” Sakshi said. 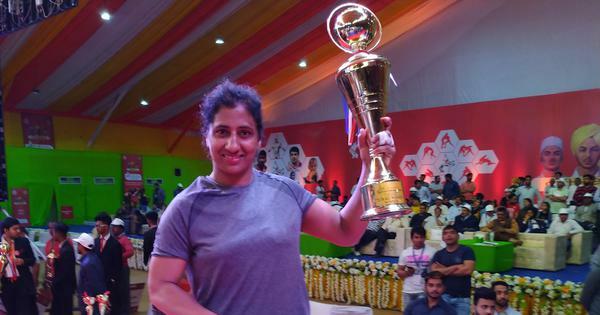 So when the 27-year-old was in Gonda for the national championships two weeks ago, she wanted to “asses herself and not be puzzled on the mat.” Little did she know that the situation won’t even arrive in Gonda. 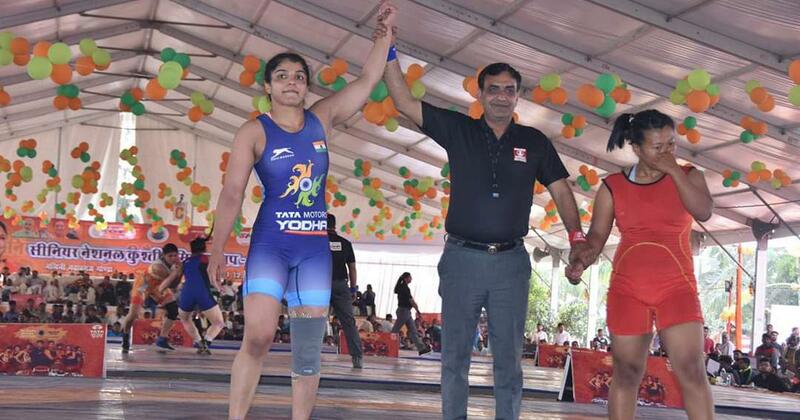 In the five bouts she took the mats for, she wrestled only three – pre-quarterfinal, quarterfinal and semi-final. The first and the final were walkover and injury pullout respectively. Even in the three bouts she wrestled, Sakshi was so dominant that none went for the full six minutes, not even into the second period. She wasn’t under pressure or trailing at any point of the bouts, making it difficult to analyse if she actually has become calmer on the mat. Sakshi’s coach at JSW training centre Damien Jacomelli is wary of the fact that competitions in India may not be the best for her. “I have not seen her compete for six minutes here. So she cannot correct herself competing against the juniors at the national level. No one really fought her at the nationals so what happens is she fails to practice according to the situation,” he says. In 2018, Sakshi won three medals, thanks to the numerous competitions she participated in. But she was expected to win more, especially at the Commonwealth Games, Asian Games and the World Championships. She did win a bronze medal at the CWG but at the two other competitions, she lost her medal bouts in the final seconds. During her Asian Games semi-final, she lost 7-8 to Aisuluu Tynybekova of Kyrgyzstan in the final five seconds. Recently at the World Championships, she was just a second away from bronze medal bout. Having led 2-2, Sakshi had to hold on to the criteria lead for a second more against Hungary’s Marianna Sastin but she failed as Sastin pushed her out of bounds in the final second. “If you can score points in the first five minutes, then there is no way you cannot score in the final minute. She should learn from her previous bouts. A lot of the points she gives up are close to the end. If she can keep her focus, she should be able to win,” Kuldeep Malik, coach of the women’s team, says. While Sakshi has not been totally off colour, it is the pressure bouts that affect her nerves. Like the semi-final of the Asian Games or the repechage bout at the Worlds. Jacomelli says that wrestling at easier competitions makes it difficult for them to read the situation of the bouts at tougher competitions. In the upcoming season, according to him, Sakshi should focus only on ranking tournaments and the World Championships. “She has to train outside if she wants to improve. In 2018, it was good but there was too much competition. If you want to win medals, you need to plan your year. You cannot have nine competitions plus the three-four trials. Next year she should keep the number of competitions to maximum five including the World Championships,” he says. Next year’s World Championships in Astana will also serve as Olympic qualification and every athlete would like to qualify from there and get the pressure off their minds early. “Next season is very important. We are training hard to get rid of my last-minute problem and I will be able to perform better from next year,” she says. No doubt that Sakshi is still confident of reversing the last-minute nerves that have troubled her. In fact, she has already begun her work on them. “I analyse all my bouts irrespective of whether I am winning or losing. I look at my mistakes, where I lost the point and try and figure out how to rectify it. According to my weight, I have good power, wrestling is a combination of power and technique. You can’t rely on just one thing, you have to have both,” she says.